Even the entry-level Kona puts a refined foot forward. Seating is roomy and cabin materials are of solid quality. A height-adjustable driver seat supplies that just-right spot behind the wheel. Moreover, this base Kona is especially stocked with tech features, giving you hands-free access to your phone with Android Auto and Apple CarPlay. The Honda HR-V also has some cool standard features. Honda's rear Magic Seat is definitely a standout. You can reconfigure it in quite a few ways, creating extra cargo space or a rear-seat lounger. But there's one big but: the base HR-V doesn't come standard with important smartphone integration features. You need to pay extra for the mid-grade Sport to get Apple CarPlay and Android Auto. 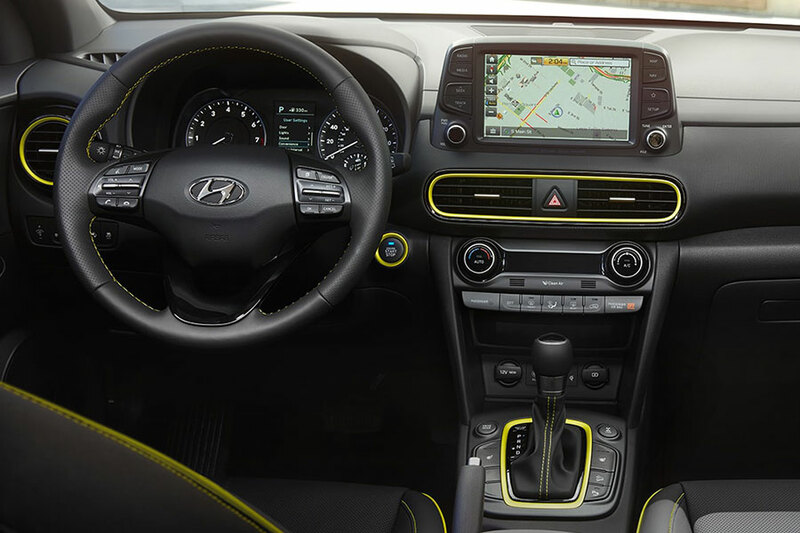 Unlike in the Sonata, the base HR-V LX doesn't even come with a central touchscreen infotainment display. The Kona will put you at ease, compliments of its excellent warranty coverage and robust safety lineup. Hyundai easily outdoes competitors with its limited powertrain warranty coverage, which lasts for 10 years or 100,000 miles. (https://www.hyundaiusa.com/assurance/america-best-warranty.aspx) By way of comparison, the Honda limited powertrain warranty is over after only five years or 60,000 miles. Both models come standard with a rearview camera for help backing out of a parking space in a busy lot. 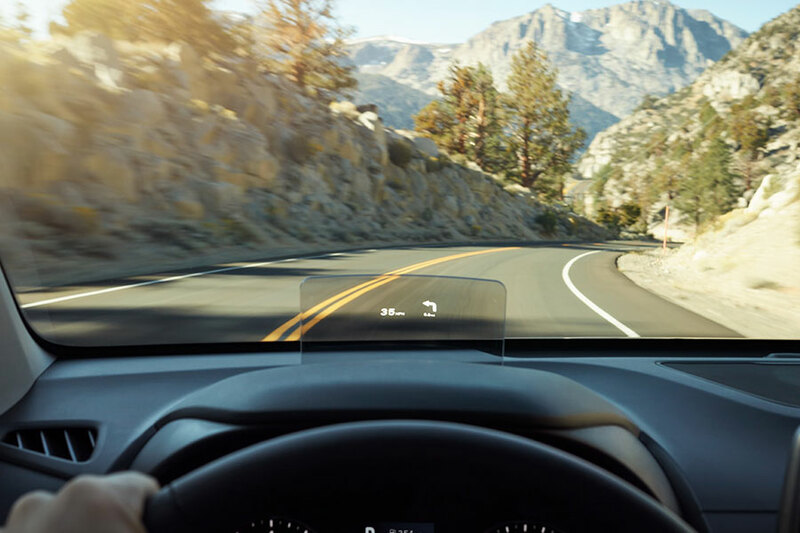 However, this year's Kona lineup includes standard forward collision warning with automatic emergency braking, lane keeping assist, and a driver attention monitor. To get these high-tech safety aids on the HR-V, you're going to have to pay extra. 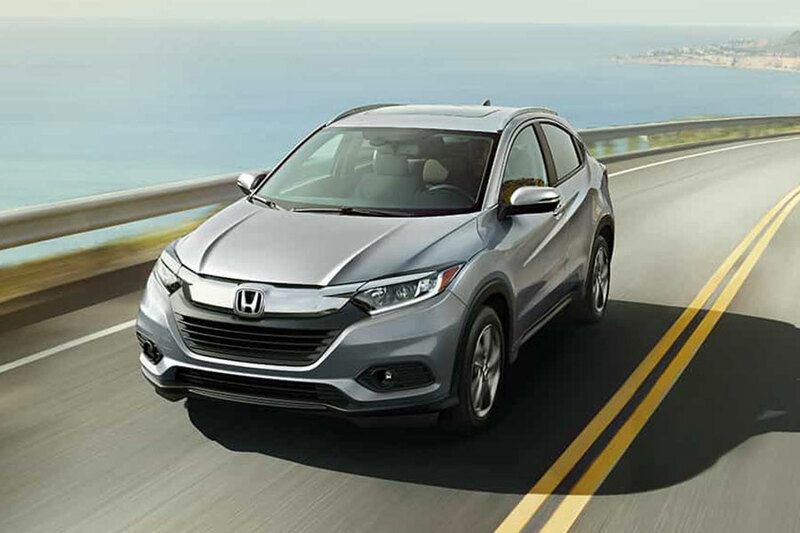 With optional all-wheel drive and its sporty crossover stance, the Honda HR-V offers extra traction and ground clearance. If you want to venture down light trails or maintain a safer ride on an icy road, the HR-V is at your service. The 2019 Hyundai Kona is also a sporty subcompact crossover. Highlights include its excellent acceleration and solid handling. Compared to the HR-V, the Kona transmission could use a few updates - especially in terms of low-speed driving, when it could be a bit quicker to respond. Let's face it: sometimes you just want a crossover that seats your kids comfortably, with leg room that they can grow into. That crossover is the Kona. Its seats are especially comfortable, with the kind of support you need for extensive travel. In the 2019 Honda HR-V, seating quality is mediocre at best. We think you'll agree that one cabin is more road-trip-friendly than the other. The 2019 Hyundai Kona is an improvement over the HR-V in almost every respect. It's got more features for your money and a better foundation for safety. Not to mention its warranty coverage keeps you on the road a lot longer.